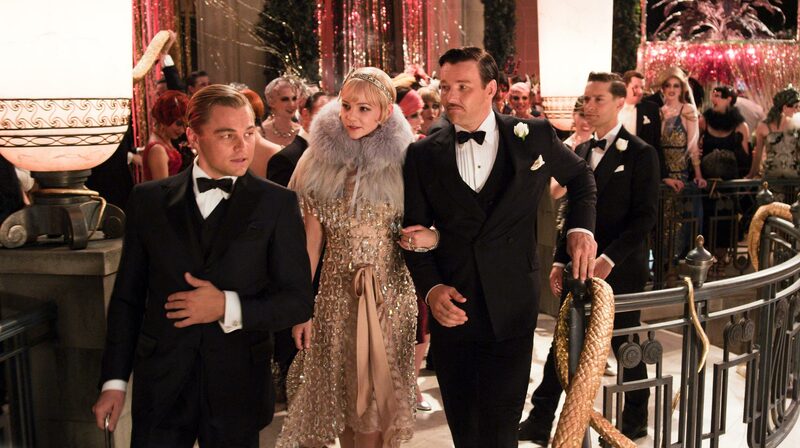 Baz Luhrmann has brought Gatsby into the 21st Century. 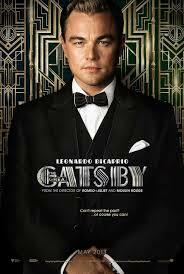 And Gatsby, old sport, you are not as charming as you once were. The film is well worth seeing. The visuals are stunning. The parties are correctly over the top to show the audacity of the wealth and pushing the limits of orgiastic pleasure. A.O. Scott, in his review in the New York Times, described the film as an opera. He’s right. But I would add it’s also a jazz ballet well-choreographed. But this is not just a simple re-make of an American icon. Luhrmann, it appears, is also commenting on the economically chaotic party we call 21st Century America. The first hint is Gatsby’s especially dismissive nature of “other people”. Luhrmann lets us see how Gatsby gets rid of his staff and how suspicious he is of them. In the book, it was only a passing mention. In the 1974 film, Robert Redford portrayed a noble Gatsby in the Daddy Warbucks mode. That kindly image was also on display in Redford’s other portrayal of another Gatsby, John Gage (get it JG), in Indecent Proposal in which we see a Gatsby that recognizes the immoral limits of money when he allows his “love goal,” played by Demi Moore, to return to her husband, played by Woody Harrelson. In our post “Wall Street Screws Main Street World”, Luhrmann’s Gatsby shows no sign of American noblesse oblige. The rich, in this Gatsby, are no longer just those silly romantics who should be allowed to pursue their wealthy happiness because they’re rich and it’s the American way. No, these are ruthless people playing their games with their rules. The nerve Luhrmann hits, though, is that most Americans today don’t see themselves getting rich in this lifetime. So, we hope this Gatsby is relegated to our distant past. The second subtlety is similar. It’s Gatsby’s Machiavellian business attitude. 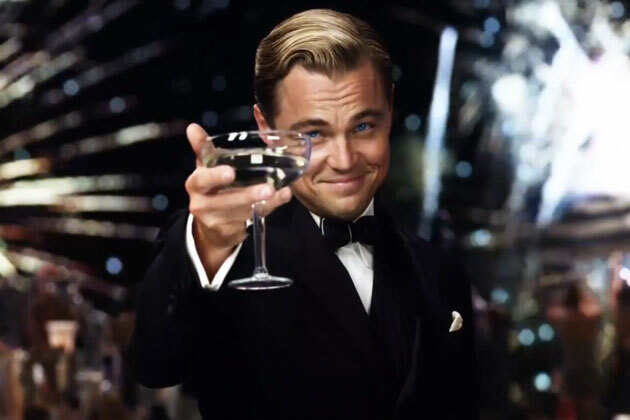 Leonardo DiCaprio’s Gatsby smirks most of the time like he’s just made another sale. And it works. 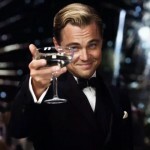 DiCaprio’s Gatsby also brushes off how he and Wolfshiem made their fortunes by rigging the financial game and putting others into great debt as if it was a heroic feat he should be lauded for. Clearly, Luhrmann wants us to see Gatsby as the Wall Street executives or mortgage manipulators who would only take credit for the success, but no blame for the ensuing financial mess. This Gatsby is a character for a by-gone era; and that by-gone era is the first years of the 21St Century – not the 20th Century. In her book, Quiet: The Power of Introverts In A World That Can’t Stop Talking, Susan Cain talks about the 1920s, the Gatsby era, as a time when America went from a culture of character to a culture of personality. I think we can assume that the culture of personality has brought us the carnival barkers, over-hyped pitchmen, politicians with more salesmanship than statesmanship, and, dare I say, TV hosts with agendas. 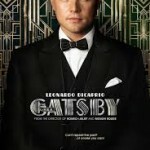 Maybe we’re longing for the culture of character again – and Gatsby the book and Gatsby the 2013 film might be the bookends for the decade of personality. The film should get a Best Picture nomination. It won’t win, but Luhrmann deserves consideration. The direction, in most parts, moves quickly and deftly despite a lot of dialogue. Visually it’s very pleasing. The tension between the characters is engrossing. DiCaprio will get a nomination for Best Actor. He gave the character depth while also making him less romantic, sometimes trite, but still admirable. I felt anger and pity for this Gatsby. However, I could see DiCaprio reprising these Gatsby character traits to play a 21st Century version of Charles Foster Kane from Citizen Kane. Tobey Maguire carries the film admirably as its narrator Nick Carraway. The twist here is that Nick tells the story from a sanitarium where is getting treatment for alcoholism. Actually, it’s a neat twist that makes sense. Fitzgerald himself was a problem drinker and, we have to assume, in a literary vein, that Fitzgerald’s own personality is probably a duality of Nick and Gatsby. Carey Mulligan was the biggest surprise. She pulls off Daisy brilliantly. Mulligan’s Daisy has depth. I really felt that this was a woman with potential and talent – much like Fitzgerald’s actual wife Zelda. But this Daisy seemed to be fighting the daunting forces of being trapped in her marriage, the loss of a past love, and a society that requires her to be an ornament that can’t age. Still, this Daisy thankfully never gave us the hint of mental illness – a big part of Zelda’s actual history that Fitzgerald relied on a lot. Making Daisy sane in this film made her more credible. And that is a great artistic feat for both Luhrmann and Mulligan. Fitzgerald, in my opinion, writes lousy female characters. As womanizing as Hemingway was supposed to be, Hemingway’s women are far more interesting and noble than any of the females Fitzgerald gave us. In this Daisy, Mulligan and Luhrmann far exceeded Fitzgerald’s literary powers — something films aren’t supposed to do.